I find it interesting how many ‘modern people’ don’t believe in spiritual reality. They are so entrenched and drenched in materialism and reductionist thinking, they find it hard to imagine that there maybe other hidden realities that share the same space as our own, worlds that operate outside of our limited awareness. Many people assemble their belief system from ‘the god of science’ of whatever creed, and at best pay no credence to spiritual reality-and at worst-ridicule psychic experience into the domain of the asylum. We read in Genesis 1 v3 that god said, “Let there be light,” and there was light. In Enoch 25 v3 it says: “The light revealed all the creation which god had imagined, and it was good.” In other words, god lit up his creation so he could take a look at it. Who is this bringer of light that lit up the world? 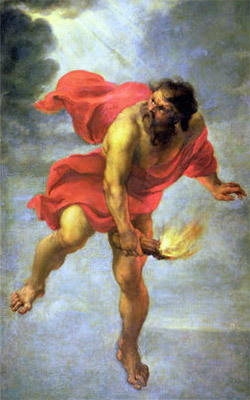 In Greek mythology, the Titan Prometheus stole fire from the gods in order to give light[knowledge]to humanity – an act we are told that enabled progress and civilization. Lucifer is also known in ancient texts as the Light-bringer. 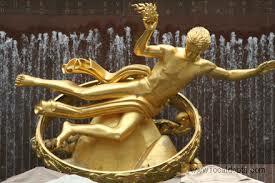 Is the allegory of Prometheus stealing the fire just another version of Lucifer’s rebellion? Was the stealing of the’ fire’ from the old gods the reason for the war in heaven written about in the Mahabharata and the Judaic scriptures? Greek stories of the Titan War echo similar myths found throughout Europe and the Near East, where one generation of gods challenges another. But what if the gods of the ancient world were not gods at all, but hybrid men just like ourselves…half beast and half divine. After all, our creator gave us its mind: the R/Complex and its ego extension of I am. Did Lucifer/Prometheus steal the fire from the Old Gods and with other intellects create his own construct…the third dimension of separate reality. We know from ancient texts that some members of the space crew disagreed with his experiment and tried to destroy our species. But, Enki/Prometheus/Lucifer saved Noah the hybrid nephilim, and from that day forth the satanic right to rule began: the bloodline that holds ransom to our souls. After Lucifer and his gang stole the ‘technology’ the fire of the old gods a war broke out. Rev 12 v7 : And there was war in heaven: Michael and his angels fought against the dragon; and the dragon fought and his angels. Rev 12 v8: But he was not strong enough, and they lost their place in heaven. The illuminists…the light bearers are secure in their hidden knowledge of arcane understanding. They stick their secret doctrine in our faces, and have their god on show. 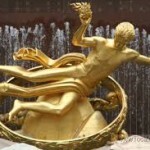 A sculpture of Prometheus/Lucifer can be found at the Rockefeller center in New York. According to Rudolph Steiner, evil has dual poles which he calls Ahriman and Lucifer, and in his understanding these entities are actual beings. We are told in the scriptures that Lucifer was cast out with his cronies. Does that mean there are a whole hierarchy of these false lights operating on our planet? Another evil spoken about by Steiner is Sorath, the Sun Demon, who is served by both Lucifer and Ahriman. Steiner describes Sorath the yellow sun as Lucifer’s false light, and the blue sun as the Christ light. 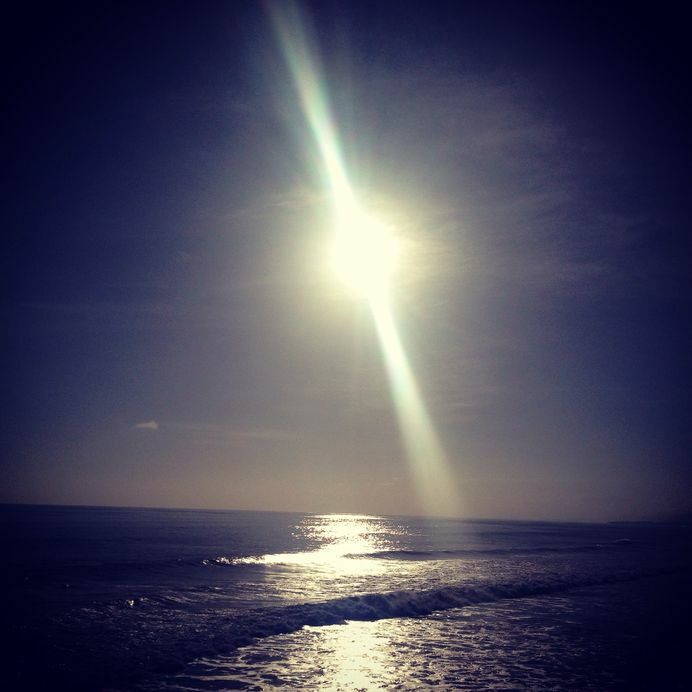 In my Occult Sun articles part one and two, I discuss my sungazing experience, and my understanding of the blue…true Sun. We know from the Sumerian texts and scriptures that the ‘gods’ created ‘mankind’ and other hybrid creatures. It’s obvious that these psychopaths viewed ‘natural life forms’ as something to be interfered with, hacked genetically and modified for their own demonic uses. The same mob then- is the same mob now, and we can see their hidden hand in the promotion of gmo’s, gene editing and the creation of human/animal hybrids. Hybrids are being created in laboratories all over the world in echo of centaurs, fauns, griffens and the mintaurs of the ancient world. Do we live in a time where legend will once more walk alive? Did Lucifer and his crew modify a divine being by splitting it into two sexes? [male and female he created them] Did he and his bunch of intellectual misfits create duality by breaking apart our oneness blueprint? If so, this third rung on the rainbow ladder is his world…the world of the Demiurge: the light-bringer that demands worship and rules by fear. To dive with an open mind into the darkness of any rabbit hole takes a lot of courage. A warrior’s courage. It is a warrior’s consciousness that casts off the programming of conformity, and peers into the mist of time for answers to today’s problems. If the gods of the ancient past were men, and the matrix programme is on repeat, are we about to destroy ourselves as we have done so many times before? Think for a moment about the technology that is slowly being made available for the masses, yet much remains hidden. It is likely that the rulers of this world are fifty years ahead of what they have disclosed. There could easily be a future war in heaven[world war 3] with all the death rays and scalar technology described in the Mahabharata. 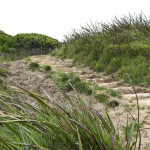 This in turn could create floods, earthquakes and pestilence….sound familiar! “The thing that hath been, it is that which shall be; and that which is done is that which shall be done: and there is no new thing under the sun.“ Ecclesiastes 1 v9. Perhaps it’s the same gang of cruel gods, that epoch after epoch, age after age, war against each other in their Virtual Reality Game called the third dimension; the game of ‘us and them’ with humanity and all living beings as its sacrificial vessel. “I entered into the innermost part of myself. . . . I entered and I saw with my soul’s eye (such as it was) an unchangeable light shining above this eye of my soul and above my mind. . . . He who knows truth knows that light, and he who knows that light knows eternity. Love knows it. O eternal truth and true love and beloved eternity!” St Augustine. The purpose of life after life in this virtual reality game is to take part in the great task of raising consciousness to ever higher levels, so that in due time all the spirit imprisoned in matter and form can be redeemed and return to the divine One. As human beings, we carry the gift of free will and rational consciousness, and we have a major role to play in this huge cosmic drama. Our task is to overcome the illusion of matter, the spell cast by Lucifer. If we can realise that we are not separate from the whole, and experience the great truth: That Art Thou, realise that Spirit informs matter, that being penetrates all things, we can rise above the limitations of sense bound thinking, the Luciferic impulse, and merge in consciousness with the Whole. 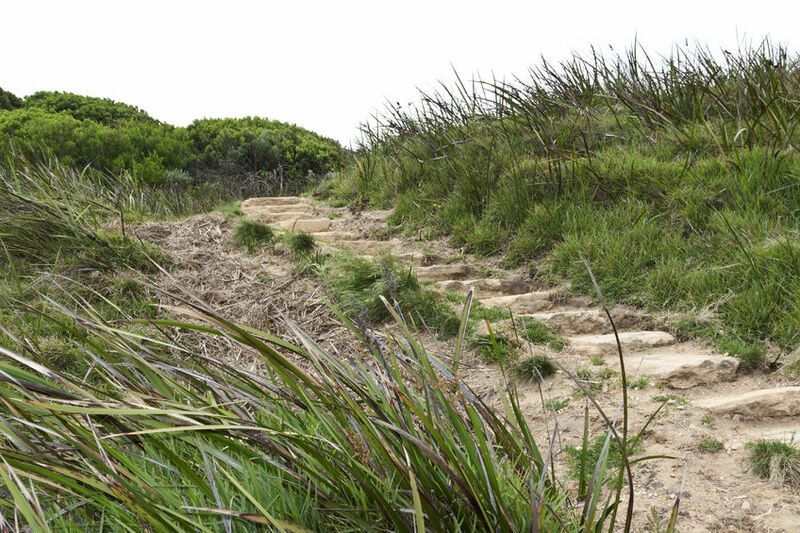 The Christos shows us the path. He talks about forgiveness and turning the other cheek. What is he talking about? Being a coward? A moral cripple? Less than a man? Perhaps he is showing us a way out of Lucifer’s game of ‘us and them’. By turning the other cheek and not fighting back, we can end the cycle of duality…of cause and effect within self. By understanding the great Law of Return/Polarity that govern this dimension: ‘As ye do, so shall it be done unto you,’ we can liberate ourselves from the programme. Once we dump the emotional garbage that belongs to Lucifer’s Eden, we can touch divinity directly and become its instrument, just as the Christos exemplified in his teachings. We can join the divine conversation and explore our multi-dimensional potential. The Christos to my way of thinking was a man who manged to smash Lucifer’s impulse within his own self. In destroying Impostor Consciousness, he was transfigured into the Christed One, a Divine multi-dimensional being. We are at the end of a twenty six thousand year period-a Grand Cosmic Year. In the four years of the reset Dec 2012-2015, we as a species have the opportunity for expansion and transformation of the soul. With the calling, the quickening of the spirit, comes the responsibility to open to a higher self. Through the core of our divinity with all life, and through love for all creatures, higher planes of consciousness can be achieved. This is the true communion…..the coming of age at the end of the Age. The great change and transformation must begin in each one of us. Since we have been given free will, we must take responsibility for that point in the Universe which we can really control-our own I, which can direct and use body and soul in the service of the Whole. The aspiration to become a clear channel for the ‘wind of the spirit’ has never been more powerfully expressed than by D.H. Lawrence in ‘The Song of a Man who has Come Through. George Trevelyan: Magic Casements. If only I am sensitive, subtle. Oh delicate, a winged gift! By the fine, fine wind that takes its course through the chaos of the world. Your articles have been a guide and inspiration for me in these trying and changing times. Glad to be of service, Dougiet. If Sauron is Lucifer then he is a she, more goddess than god. I put Sauron as Sorath, being reptilian by his very name and his lidless eye, like that of Balor of the Fomor in Irish legend, is symbolic of the corrupted yellow sun. His Ring, in its arrogance (as typified by a suncentric solar system) rules the 9 corrupted worlds of the Qlippoth with which he attempts to overshadow Middle-Earth. The films The Return of the King and The Battle of the Five Armies promote the Age of the Orc overthrowing the Age of Man. In the books Sauron intended to usurp the coming 4th Age of Man into the Age of the Orc. I saw Saruman, the Cunning Man, as representing the Illuminati. Though he is Istari, so Ahriman would fit with his love of machines and need to control. To my mind Melkor is truly Lucifer, who becomes Satan/Morgoth. He created the original orcs from the tortured souls of elves, while Saruman creates the Uruk-Hai from the hill men of Rohan. This remindeed me of the Cabal/Consortium and their super-soldier experiments. Both are indicative of hybridising either elven or human DNA. It is interesting that Saruman the White became Saruman of Many Colours after allying himself with Sauron. A fall of frequency. The Hobbits represent the elements that circle around the natural man (Aragorn was the first to guide them all from Bree). Pippin (west/water) – Vanaheim (Pip is a Puck character). Boromir – Niflheim as Hel/Land of the Dead. Gandalf, being Istari, is the Divine Self, the spirit still connected with Eru-Iluvatar. Legolas being an immortal elf is the higher Self. Aragorn is the Conscious Self, balanced with the elements as represented by the Hobbits, and connected to the higher Self through his betrothal to Arwen Evenstar. He is tested by doubt and his attraction to the shield-maiden Eowyn but is saved when he accepts Anduril and his destiny as High King of Gondor by passing through the Way of the Dead. Gimli is the subconscious, the underworld mirror of Legolas. Boromir is man held in thrall to the demands of the Unconscious, modern man of the 4th Age. Look in every nook and cranny, however improbable. A very enlightening article, and a quote for our time. Thanks for the great links, Mick. Decreed her fate: to be stationed in the harem. …the game had not yet reached its end; for Enki, feeling that he had won, challenged the goddess to change sides: he would now create, and she name the place. He made a creature called “My Birthday is Remote”, with liver and heart in great pain, eyes diseased, trembling hands, spirit gone. …Enki created more. Once again the cuneiform becomes illegible. Apparently disease, madness, and everything else of the sort came into being as Enki maliciously drove his goddess into a corner. My children have been taken captive. Even I escape not your hand! And Enki, thus indignantly condemned by the goddess-mother of mankind, was exiled from the earth to the abyss. The drunken party fades in uproar: its effects, however, abide. Another great link. Thanks Mick. “Suppression and distortion of esoteric knowledge is one of the means for control of the masses here on planet earth. This has been going on for thousands of years. Even the material presented in “Gnosis” is covered around a biblical gloss that one needs to weed through. I’m gonna hog for a bit. In Tolkien’s mythos there is a mystery about the origin of men. Even the elves do not know where they came from. As far as I remember (it is about 20 years since I read the books fully) just after colonising Beleriand they fell under the sway of Melkor of their own free will by accepting his blandishments and flatteries through their innocence and naivety. They built a temple to Him, but when he began demanding their sons and daughters for sacrifice, they burned the temple and rejected him. But the stain of that first acceptance remained as a curse on their collective soul. They consider their mortality a punishment from Iluvatar, but the Elves, Noldor especially, consider it a blessing. The elves find men strange and even frightening because they see them as having a peculiar and particular destiny that Iluvatar and Manwe will not reveal to them. It irks the elves that that they cannot pronounce the fate of men. To them Iluvatar has a purpose for men that the elves cannot divine. Sauron was a Maia who fell under the sway of Melkor. After Morgoth’s ‘destruction’, and because of the Valar’s decision to remove Valinor to the Far West and sink Beleriand into the Great Sea, His influence permeated Middle-Earth, just like a Trojan virus in a computer system. His influence of Evil is diffused throughout Middle-Earth, while Sauron is an embodied extension of His Will, concentrated in the power of the One Ring. Can people see the parallels with our present situation? I can see the parallel….the allegory for our time. I found the information on http://www.cassiopaea.org/cass/organic_portals.htm….totally riveting. It explains from a unique perspective why there are two different classes of consciousness operating on this planet. But, it is to be expected of the matrix…polarity and the game of ‘us and them’ is the game plan. The soulless and the ensoulled…. A similitude is a likeness, therefore a copy. I have one small departure, and that is I believe the last reset (perhaps the high-jacking itself) happened around 10,000BC (see Alain and Delair, Hand Clow ‘Catastrophobia’, Knight-Jadzyk ‘The Secret History of the World’) and so we are coming to the end of half a precessional cycle of 13,000 years. I do not believe everything is as far back as most researchers state. That is to keep the horror at arms length. Joseph Farrell goes so far to put it in a previous Kali Yuga cycle, following the work of Paul LaViolette. Everything is much closer than we would like to think. Again, I agree. A great quote from the Koran. It says it right there…a counterfeit creation. Thanks Mick for your wonderful links. All hands to the plough. Very intriquingand excellent article Elva. It seems to be a universal knowing by humans, that something is amiss in life on Earth. haunt humanity. ie- How the heck did we get in this madhouse? genetic malformation. And since the ruling ancient bloodlines guard their genes jealously, it would stand to reason the gene of psychopathy, if indeed present in these bloodlines, would be strengthened over time. The causation of primary genetic psychopathy presents in the amygdala and its connection with the pre-frontal cortex. While there is ongoing research on genetic psychopathy, the labs are woefully underfunded. (I wonder why) Psychopaths in charge, create cultures of psychopathy in a top down manner. I don’t think life on Earth will ever be a paradise, but life on Earth could be a whole lot better. It would be totally ironic, if the psychopathic space interlopers who possibly/ deliberately interferred with life on Earth, through genetic manipulations, lived to see the gene of psychopathy permanently removed from Earth. I always found the correlation of the 1% who rule us, to the estimation that 1-4% of the human population are genetic psychopaths, to be significant. Thanks! When you get a minute to spare, check out the link that Mick left. It’s about psychopaths….the soulless ones…take your pick of any politician! See if it resonates with you. In my opinion Lucifer is a female energy polarity. Here are some links to the Kirkwall Teaching Scroll of Kilwinning. The top, therefore primary, image is of the Goddess seated in an Eden surrounded by animals. It seems that much of what could be saved from the library of Alexandria was taken to the Great Imperial Library in Byzantium. This, in turn, was transferred to Venice after the sacking of Constantinople by the Templars under the direction of the Doge – the ill-starred 4th Crusade (see Thrice Great Hermetica and the Janus Age by Joseph P Farrell). I would surmise that many documents were kept in Templar preceptories until the Order’s dissolution in 1307, whence they may have been transferred to America, with the disappearance of their fleet from La Rochelle. It may be that they had connections with the Aztec empire, but that is only a personal suspicion. The new superheroes films ‘Batman vs Superman’ and ‘Captain America vs Iron Man’ seem to be suggesting internecine strife between the 4D trading factors, our so-called gods (see Our Gods Wear Spandex by Christopher Knowles). When it is time for Harvest the mob families begin fighting over ownership rights. Agreed. We are at the end of the Age and I think it is time for the Harvest. Each one of us that wants to transfigure and get the hell out of hell has to try and break the Luciferic programme of I am and I want within self. That is the only liberation from the simulacra. Otherwise, we’ll back to caveman status and the bloody cycle begins all over again. Thanks for the morale support, Elva. It is only the inner work that will do, and the way I see it, that is up to each individual to do in their own way, following the dictates of their growing soul. The Norse had the concept of the Fylgia, a female figure representing the soul of each person, a valkyrie for a warrior, who personified that person’s destiny, wyrd or dree. She was a guardian of a man’s fate, but she had to be woken from a deep sleep to become active. The more I research this the more I am convinced there cannot be a true large group inner awakening. Religions and cults deal with large groups of people (and hive minds) and that is an issue of control and energy feeding. Any salvation happens individually. We should be thankful we think with our own minds, so many don’t. Salvation is an individual enterprise. As to how you handle them. It lies at the dark side of the sun. The words of the Joker Testament. Excellent article, yet again, Elva! 🙂 I’m going to avail myself of the many helpful links in the comment section from Mick (Thanks Mick!). Wow!… what a treasure chest of goodies to research here! I’m just lovin’ it – Big Time!! Teresa’s comment sure hit the nail on the head, too. I think the pieces to a grand puzzle are finally starting to fit together at this remarkable time. Humanity, on a collective level, is becoming conscious of having been unconscious. It’s akin to the preliminary stages of becoming Lucid inside a dream / nightmare, and suddenly realizing that we can be empowered and take control of the helm. Ultimately, we are not victims but have simply been unaware participants in a Luciferian induced trance/nightmare. Thanks again for the wonderful post, Elva. Great reading, indeed! Hi Benny, I think the information about our situation is available, albeit in garbled form. It’s up to us to intuitively sort it out. Thank you again Mick for leaving the wonderful links. And yes, the pieces of the grand puzzle are fitting together for those who can resonate on its information field. I felt I had taken over on this thread too much, but wanted to get this stuff out. I was just reading about the ‘Organic Portals’ (Human Clones?) referenced above in a link, and another reference that I had research about in the past, came to mind: “Dr Peter Beter (June 21, 1921 – March 14, 1987): The Discovery of Robotoids And The Replacement of Jimmy Carter” (https://www.youtube.com/watch?v=64QUK3CKj1A). This would perhaps also explain what the late Dr. Karla Turner, PhD., mentioned about [Mi-Labs] Alien Abductions where people were being separated from their physical bodies through electromagnetic entrainment technology, having their ego bodies (lower aspect vital energy, astral/emotional and mental bodies) separated and trapped in a box, then placed inside a cloned body of themselves. Thanks for the links, Benny. I will check them out. Blueprint – a print being a copy, often mass produced for sale, of a unique original. hatched. I am an Incubator Mother, a kind of midwife. Dr. N: Are you telling me you work in a soul nursery? energy above. There is intense light. nursery has a beehive structure, or what? sufficient to be moved away from the emporium. majestic, orchestrated line of progression toward us. born. It’s totally alive with an energy and distinctness of its own. Note: Another one of my level Vs made this statement about incubation. Dr. N: What do you see beyond the mass, Seena? violet darkness beyond, but not cold darkness … it is eternity.